No matter how eager you are to move into a brand-new home and start living the life you’ve always dreamed about, it’s important to choose the right builder for your needs. Many people who are looking for a new home will put the most focus on the cost. But cost isn't everything, not if you really want to get the most bang for your buck. Simply finding the lowest price can mean settling. And if you settle for less than the perfect fit, you could regret it for years to come. Whether you’re looking for a cozy bungalow or a sprawling two-storey home, there’s a builder that will have what you want. Before you look at builders, you need to start with a good idea of what type of home your family needs. Are you looking for a “starter home” or a large family home? Are there certain floor plan features your busy family needs? Do you hope to do a lot of entertaining or are you looking for a quiet retreat? It’s helpful to have a list of things your home absolutely needs – the number of bedrooms and other rooms – and the things that would be nice to have – a backyard patio or an in-law suite in the basement. You can even get specific about the types of materials you want to use in the home. Different builders focus on different styles of homes, so when you start with a list like this, you can dramatically narrow down the choices, giving you a better focus. Your neighbourhood will play a major role in how happy you are with your home, so there are many important considerations to make when choosing your community. Each neighbourhood tends to allow a few trusted builders to create homes that fit the area’s unique profile. Most people want to live in a place with nearby parks and playgrounds, good schools, convenient shopping, and an easy commute to work. Are you thinking about a brand new community or an established one? Both have pros and cons, so you need to decide which is a better fit for you. And no matter which one you go with, you want to know how the community "feels", so walk around your potential choices. Since Winnipeg has such a strong focus on building complete communities, you shouldn’t have a problem finding a neighbourhood that either has everything you need or, at least, very close to everything! However, different areas appeal to different types of people. For instance, if you have kids, you’ll want to live in a community popular with families. With a good sense of what you’re looking for in a home and an idea of which area you want to build in, you’ll be able to start actively comparing your options. Tour the show homes of the different builders that build in the area. Ask the Sales Agents which things are included in the standard build of the home and which things are upgrades. Many show homes or quick possession homes have a "base price" with added options above the normal standards. Find out what kind of lot options you have as well. Not every home style can be built on every lot, so it's important to understand what choices you have. Maybe you need that pie-shaped lot in a cul-de-sac because you want a big backyard or being close to the local playground is more important. Nail down what the key factors are and go from there. 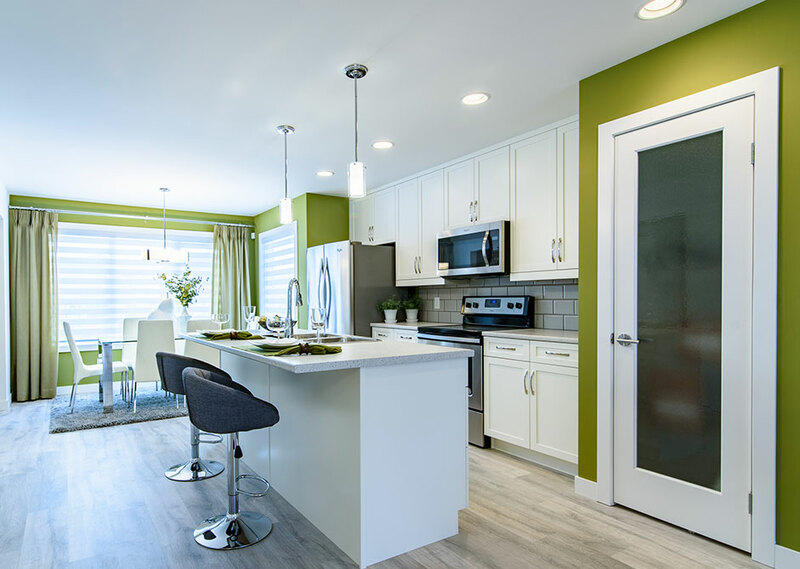 Look at the floor plans and get a sense of how they feel as you walk through the show homes. This should really help you narrow down your list of potential builders and bring you closer to finding your perfect home in a new community. A builder's website should provide you with some background information on their experience, licensing, how long the builders have been in business, and the types of warranties they offer. That being said, you can also search for external validation, or ask them to provide their credentials to you. Quantity isn't better than quality, but an experienced builder will have a large portfolio of homes they have built. You can feel safe in knowing that they have completed past projects to code. Are changes allowed during the building phase? This is a very important question that is often overlooked. Some think that making alterations to the build during the process is easy. Your builder's contract is based on constructing your new home according to the original blueprint and within the specified budget. Upgrades and changes will cost more money and must be negotiated with your builder ahead of time. You don't want to run the risk of accumulating extra costs and hindering the time it takes to build your home. You can find many other handy resources at the Canadian Home Builders' Association (CHBA) website. There, you can search for builders you're interested in to see if they're a part of the association. Members of the CHBA are reputable, due to the association's commitment to ensuring these builders build homes in the best interest of homebuyers. Alternatively, if you don't want to wait for your dream home to be built, many builders offer "move-in ready" or "quick possession" homes. These models are finished, or nearly, so in some cases you can still select the final touches. Choosing this type of home eliminates the process of waiting as long, which is typically nine to ten months. The price is a little more predictable as well - especially if the home has already been completed. The biggest benefit to a move-in ready home is that you get to see exactly what you're buying! And all come with the same warranty you'd expect in a home you have built from the ground up. 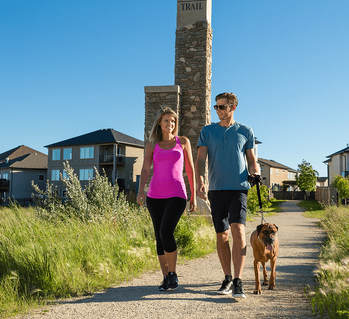 After you've done your research, picked a community and the type of home that would suit your family's needs, you can tour these move-in ready homes and make a quick decision. With thorough research, one builder will stand out among the rest, and this is the builder you want to work with. Talk to the Sales Agent about finalizing your purchase. In most cases, it's best or required that you have a mortgage pre-approval, and you’ll have to select a floor plan and home model for the neighbourhood you want to build in. The building process is slightly different for each builder, but your Sales Agent will be there to walk you through every step of the process. Selecting the right home builder can feel like an overwhelming decision. However, when you remain focused on the things your family really needs in a new home and break your research down into manageable chunks, you’ll find it gets a lot easier to make your choice. Originally posted October 2, 2017, updated February 7, 2019.